AIPU deliveried a larger quantity of shale shaker screen to middle east last week for hook strip screen and frame type shaker screen. The total quantity about 900 pieces packed in carton box and wooden box with plastic wrap for sea worthy. All shale shaker screen is manufactured according to API RP 13C regulation with mesh between API 50 and API 270 to suit different drilling conditions wire mesh. 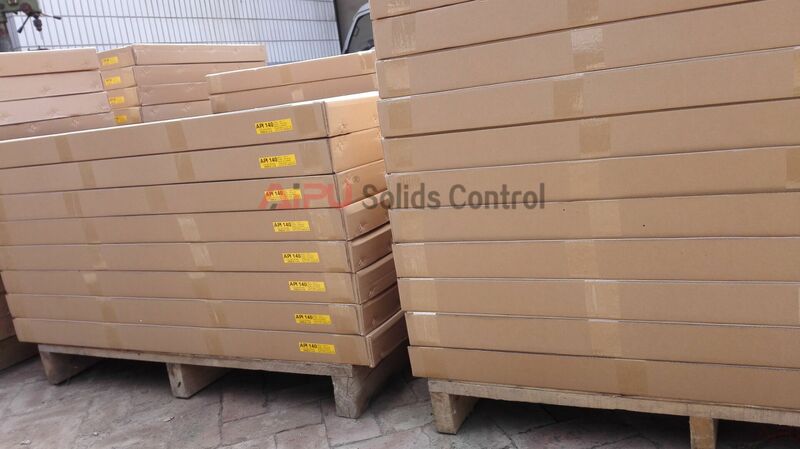 All the screen panels will be arrived to middle east in 30 days. Why Choose AIPU Shale Shaker Screen ? AIPU build shale shaker which allow us understand shaker screen better, and we understand what will happen on different screen problems will bring. AIPU sold shaker screen to all over the world more than 30 countries with good screen feed back and coninous orders to assure shaker working performance and quality. 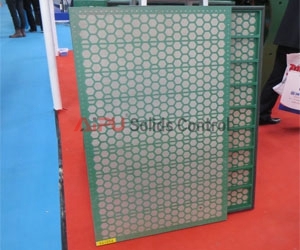 AIPU supply replacement screen for well known shale shaker which enable us more proffessional on shale shaker screen and different kind of shaker on advantagement and disadvantagement. Does AIPU Supply Replacement Screen For Other Brand? The answer is surely yes as AIPU is a professional manufacturer of shale shaker screen as per API RP 13C regulation and standard. AIPU supply replacement hook strip screen ,steel frame screen. Other than steel material screen, AIPU build composite material screen for longer working life and better performance. The composite material screen is mainly for frame wedge type screen, not for hook strip screen this stage. Please click AIPU website for further more information of shaker screen or send us email on what exactly you need for help.